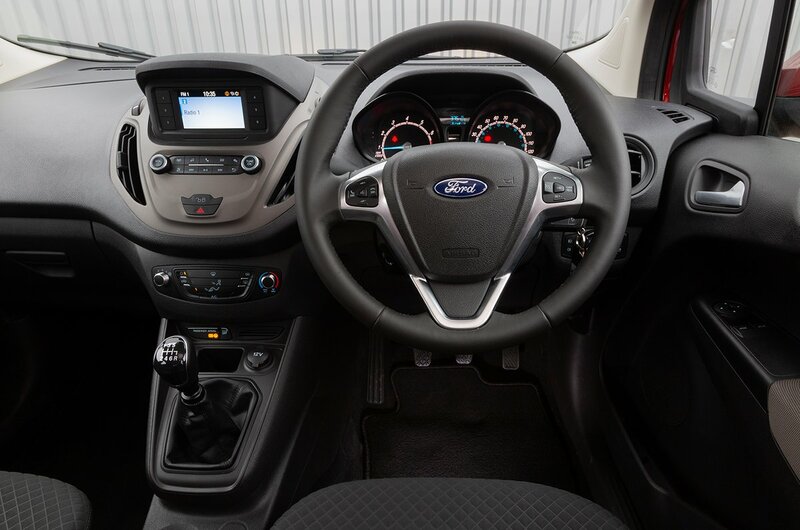 Ford Tourneo Courier Interior, Sat Nav, Dashboard | What Car? There’s no option of electric seat adjustment for the driver, although manual seat height adjustment is included as standard. The steering wheel adjusts for height but not reach and is set quite far forward, so those with short legs might find it too close. Visibility is excellent, with an expansive windscreen that stretches high above your field of vision. Wide door mirrors make the car easy to manoeuvre, and its straight-edged, boxy shape allows side and rear windows that are deep, wide and unobscured. 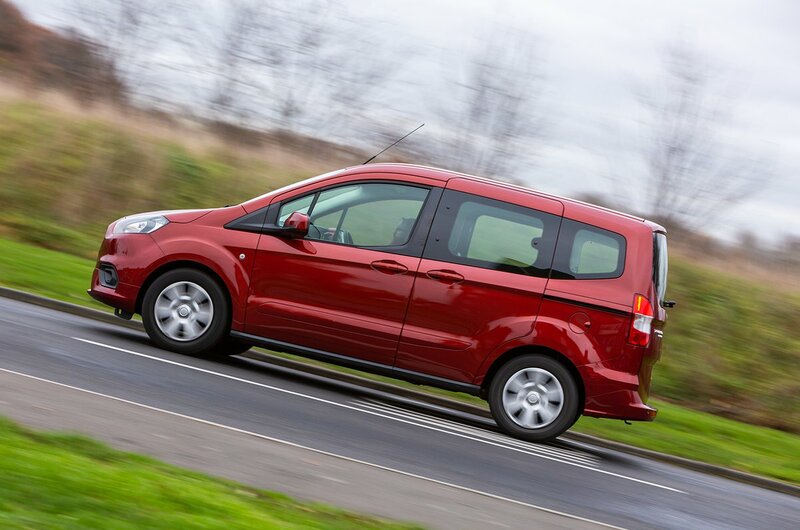 The only trim level for the Tourneo Courier is Zetec. You get a DAB radio, Bluetooth and USB connectivity but not an infotainment screen. Instead, there’s a dock that enables you to set your smartphone into the dashboard, but you can upgrade to a 4.0in digital screen or 6.0in colour touchscreen with sat-nav. 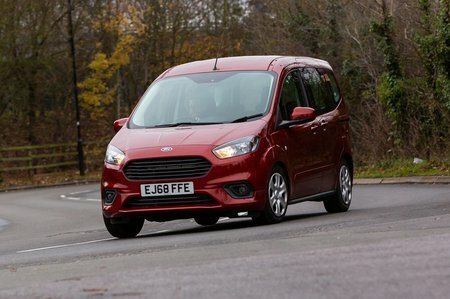 A driver’s armrest and coloured cloth upholstery that give the Tourneo Courier a slightly less utilitarian feel than its Connect stablemate, but the rest of the interior is a riot of scratchy plastics. They are, though, at least durable and easy to clean.